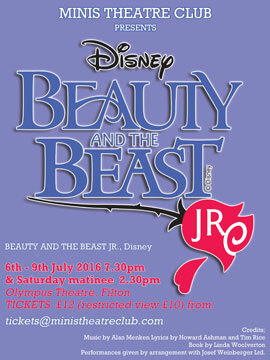 "Beauty and The Beast is a five-star treat"
Affectionately known simply as ‘Minis’, our club is for young people aged between 9 and 14 and offers an exciting and dynamic way for children to make new friends, learn new skills, build confidence and take part in live musical performance. 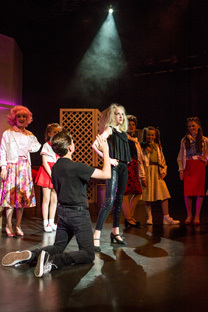 On average we stage two productions per year and one of these is always our ‘blockbuster’ musical, normally performed in the Summer Term. Shows take place in a professional theatre with fabulous sound, music and lighting and whilst we don’t like to take ourselves too seriously, the standard of our productions is very high! Our extremely talented and professional Production Team, made up of Director, Choreographer and Musical Director, put the children through their paces each week and the cast thoroughly enjoys the experience! Parents too are actively involved in the running of the Club and ‘the show would not go on’ without them! We are very much a parent co-operative, so mums and dads are be expected to get involved in all aspects of the production – helping with costumes, make-up, set-building, props and selling tickets. No experience is required, just enthusiasm, however, if you aren’t keen to help out, then do think carefully about whether Minis is right for you. 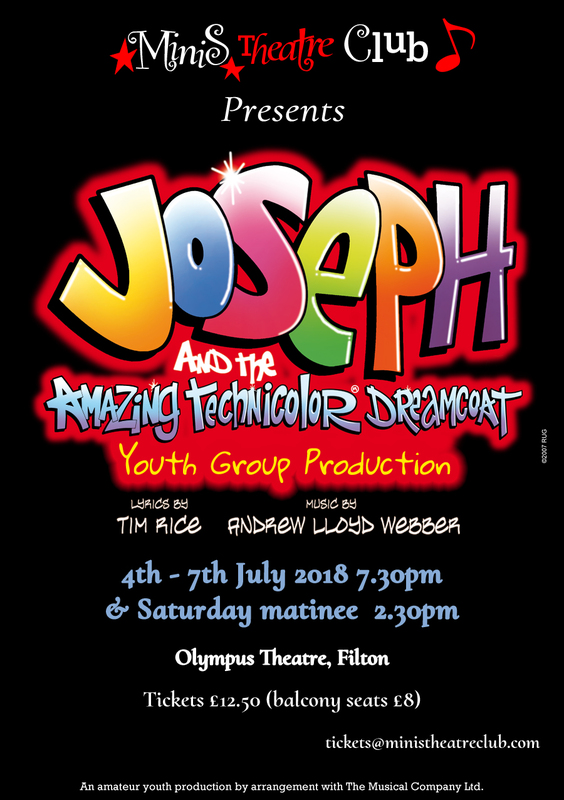 Rehearsals are held every Friday night from 5.45pm-7.30pm (currently at the Methodist Church Hall on North View) and on several Sundays leading up to the main show. 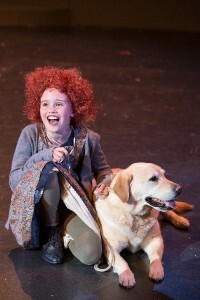 Past productions include ‘Grease‘, ‘Wizard of Oz‘, ‘Annie‘, ‘Cats‘ and ‘Seussical‘, which you can view in our Photo Gallery. So, if your child enjoys singing, dancing and acting and would like to do more, Minis could be just what you’re looking for. Do come and see one of our shows, or contact our Membership Secretary for more details – a warm welcome awaits!